Have fun collecting a wide variety of stamps by matching shapes in Super Stamp. Did you know that the first official stamp, the Penny Black, was introduced in the year 1840 by Great Britain? Find out more exciting stamp facts and enjoy beautifully drawn stamp collecting in this great Puzzle inlay game. Super Stamp is rated 3.5 out of 5 by 6. Rated 5 out of 5 by betskand62 from Shape matching game takes good reflexes! If you want to move quickly and test hand-eye coordination, this is a GREAT game. You match objects to shape outlines, and many of them are complex. They begin to move faster and faster, and become difficult. The idea of collecting the shapes as stamps and storing them in books is actually fun, and I like the art. Warning: the "sweets and candy" level may make you want to eat cookies. I play this game a lot and I actually think my reflexes have improved. Rated 5 out of 5 by Zellian from Another rare gem I'm surprised nobody has reviewed this game yet. It somewhat clumsily fits in the inlay genre, but the game is solid and original. It's another simple, yet fantastic work of art if that makes any sense. There is the main game which is the most fun, and provides all the stamp collecting entertainment. Then there are the free play mini games. With hundreds of levels to play, this one will last you a while unless you're playing all day long! Definitely worth a try, I even redeemed a game credit for it. Rated 4 out of 5 by meme2222 from Great game if you can finish it. I love this game and would give it 5 stars but I hate paying for a game I cannot finish. It starts out at a fairly decent challenge but gets super challenging half way through levels and if you are not super quick you cannot pass to next stamp book. I'm stuck on last level of flower stamp book. There are 4 more books I may never get to play. 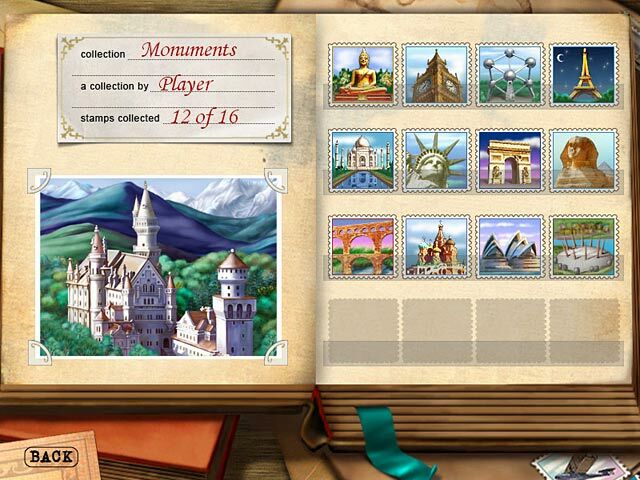 It has all the makings for a great game: beautiful stamps you collect as you pass each type of level, awards to be won and enough variety in changing symbols with each book of stamps. There is also a variety of game play; a score challenge, don't let level reach top, a sort of pile and pop M3, putting together puzzles and a classic game of just matching symbols. All of them are timed. They give you enough of power ups to make the game fairly beatable with maybe a few redo's if you are the kind of person that likes time challenge. But with all things timed you can get to a place where no matter how hard you try you just can't beat it. Uggh that is frustrating and hair pulling and just not fun. I'm hoping after my thousandth try I can open the animal book of stamps and get off these dang flowers. Only one thing saves this game that makes it worth the buy, and that it has a free play of all the type of games and all the stamps. This way you can just play your favorite that you are good at. It is still timed but you can pick your level and get to play all the stamps. I still wish I could finish collecting my stamp books and don't know why developers put a stop game instead of skipping a level and not giving a trophy or something...it makes you feel cheated out of your money. Rated 3 out of 5 by BibiBuggs from Okay but not my favorite Am submitting this from the trial version. Did the entire hour and had fun but am not interested in purchasing. Started out slow and fun. Had some fun stamp information and facts which I liked. This game does require fast reflexes so if you have a disability that prevents you from quick movements you will not like this. I personally don't enjoy being put on heightened alert and don't find that to be relaxing like a hidden object game. Give it a try though. You don't know unless you try it. Rated 3 out of 5 by Rebr2009 from Nice game, good distraction! Not exactly a Match3 game. You have to match stamps, in different ways: - Score mode: take the shape and place in the right place, ie the corresponding stamp. 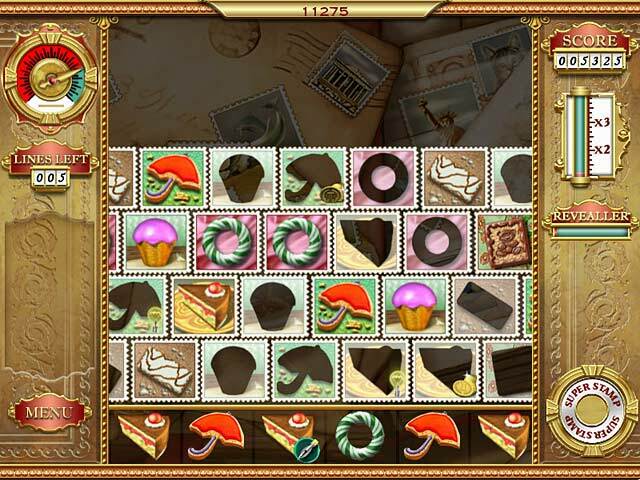 - Line up: you can not leave the stamps (rows) reach the top of the screen. - Classic: you have to clear all the stamps. - Color match: you will placing the stamp, but if have more than one of the same color beside, all disappear. It has bonus to earn more points, like: stamps with coins, stamps with an icon that stops the clock for a while, a pen that can be used like any stamp. Has 10 themed stages (toys, monuments, etc.) 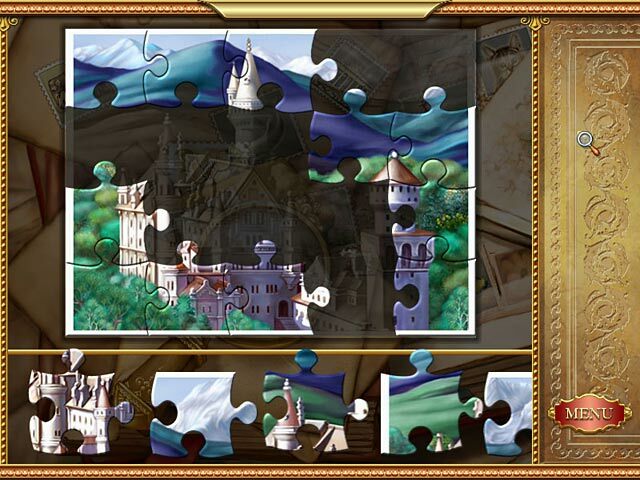 with lots of steps and at the end of each stage has a puzzle. Good graphics, nice sound, very colorful. Not a challenging game, but is relaxing and pleasant. 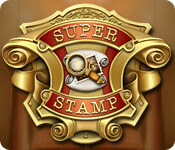 Assemble and collect a wide variety of beautifully drawn stamps in this great new Puzzle inlay game.